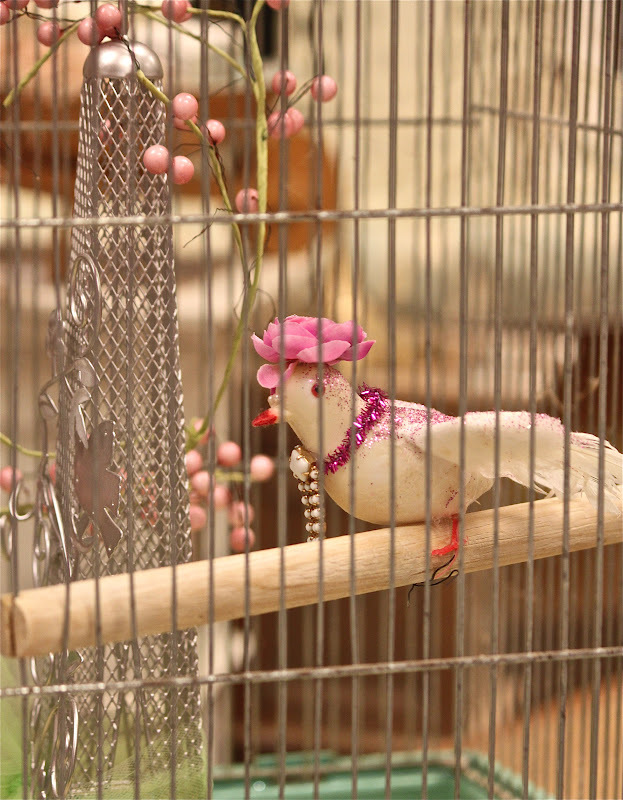 My crafting sister loves to dress up birds in flowery- flopping hats, jewels and glitter galore. I have asked her to make many of them to decorate our shop. 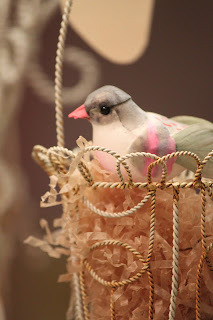 They delight our customers, so much so that my crafting sister always needs to make more. 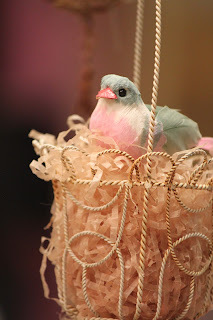 Recently, she was getting rather low on her aves collection and had to resort to using some birds that looked like they were put in the washing machine and left to drip dry. Their beaks were bent in a cockeyed position and the wings were ratty, but I encouraged her to "Confectionique" them anyway. 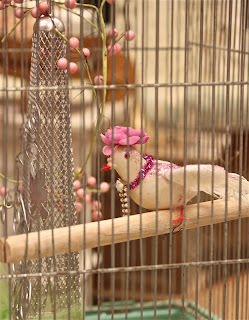 These rather imperfect specimens are dressed up sweetly and now grace a very large bird cage. Some of them appear as though they had an all-nighter 'painting the town red' in Paris.... obviously drunk, but well-dressed. We will have birds of many persuasions and in various states of awareness at our Feather Your Nest Market in April.